Indian cuisine is so full of variety and flavors. So many different cultures, all with their unique ways of using the same ingredients, and different methods of cooking – there is always a lot to experiment and learn. 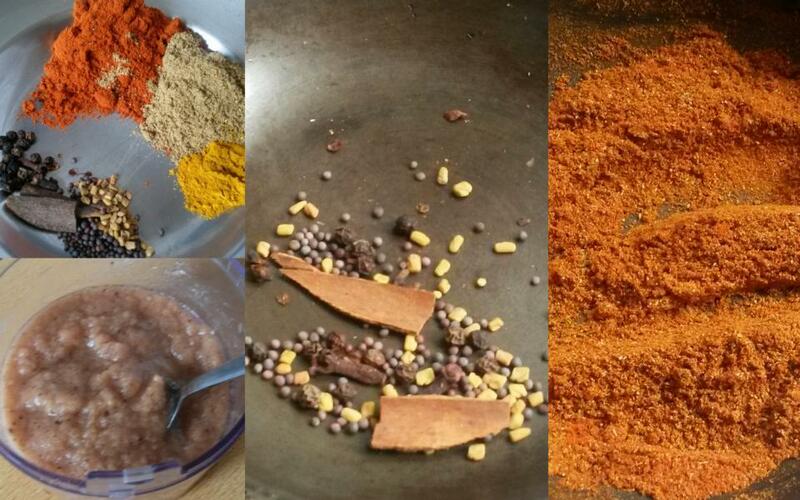 This is a Goan – Manglorean recipe given to me by one of our old family friends. 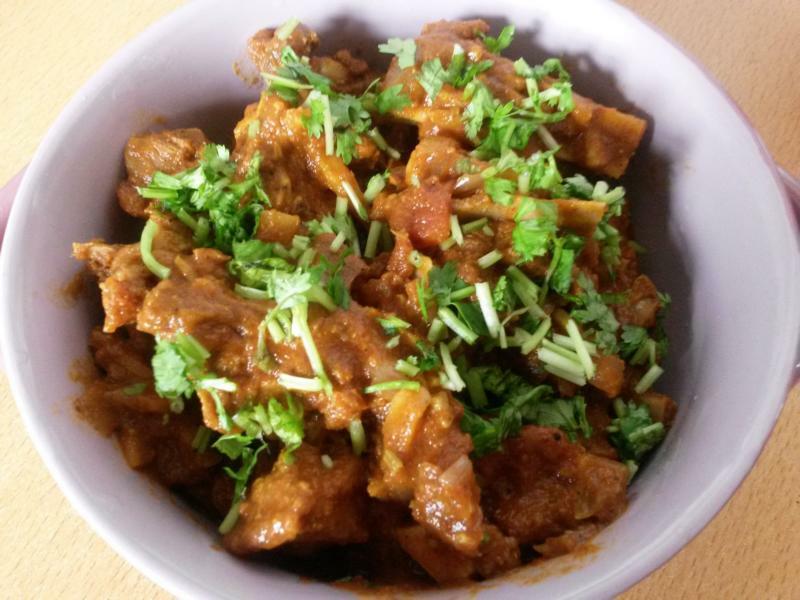 The original recipe was prepared using pork, but I have often made it with Mutton simple because I love it!! For those of you who are not familiar, Mutton is same as lamb but a more mature meat – Goat or an older sheep basically. But somehow that makes the picture of a cute white goat pop up in front of my eyes, and makes me feel bad… So we will stick to Mutton. It is not very complicated but the needs a bit of prep work, i.e. dry roasting and grinding spices. Firstly, roast mustard seeds, fenugreek seeds, pepper seeds, cinnamon and cloves for one minute on low flame till it turns brown and set aside to cool. Next, dry roast the chilli, coriander, turmeric and garam masala powder till it turns brown. Lastly, grind all the above along with onion, tomato and vinegar. Do not add water. You can use the meat with bone or boneless (personally I prefer with bone as it adds to the flavor and texture). If using pork, make sure to use pork with some skin, as the natural fat released from the skin, adds to the taste. 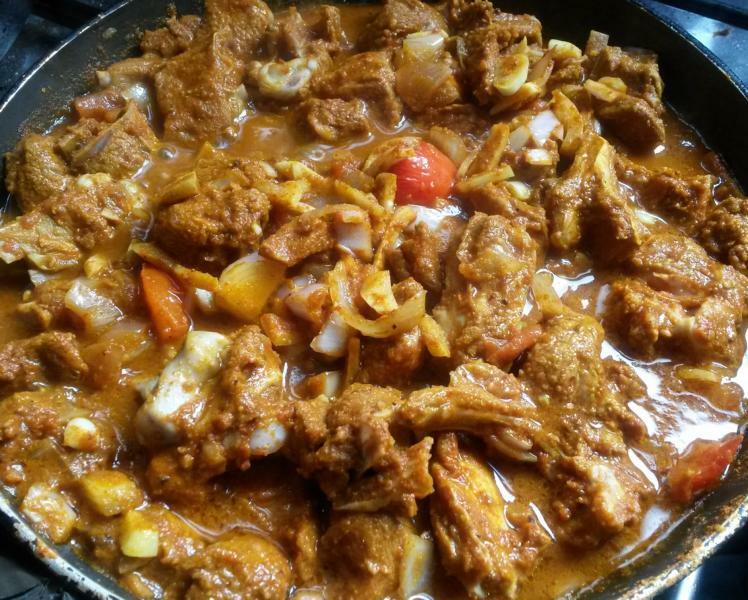 To marinate the meat –- in the cooking pot put the mutton, remaining chopped onions, tomatoes, chopped garlic and ginger, ½ tsp of ginger garlic paste and the ground mixture from step 1 and mix well. Keep it aside for an hour. After an hour keep the cooking pot directly on the stove on a low flame, add around 2-3 tsp of olive oil, give it a stir and let it cook. In a pan roast the mustard seeds, fenugreek seeds, pepper seeds, cinnamon and cloves for one minute till it turns brown. Make sure to do this on a low flame, as they can burn fast, and keep stirring. Once done, remove it and set aside to cool. In the same pan roast the chilli, coriander, turmeric and garam masala powder till it turns brown. In a grinder, add ½ chopped onion ½ chopped tomato the roasted whole spices and spice powders. Grind to a fine paste by adding vinegar while grinding (avoid adding water). 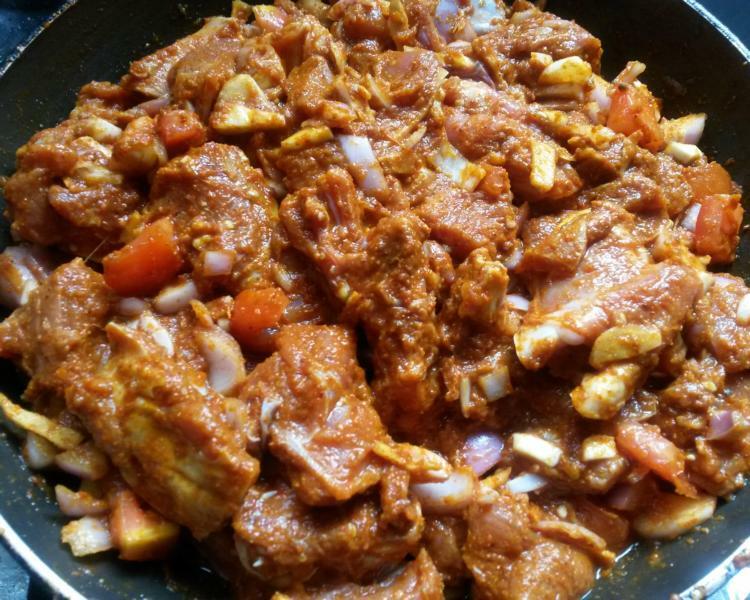 To marinate the mutton, mix it in a cooking pot with chopped onions, tomatoes, garlic, ginger, ½ tsp of ginger garlic paste, the ground mixture from the above steps, salt and mix well. Keep it aside for an hour. After an hour set the cooking pot directly on the stove on a low flame, add around 2-3 tsp of olive oil, give it a stir and let it cook. Once done garnish it with coriander leaves and serve with rice. This looks so delicious. It’s definitely worth all the grinding and preparation. Thanks for sharing! Thanks Liz. Although it does take a little extra time to prepare,the end result is satisfying… Hope you have a great day! Thank you so much Peri. Have a great day!